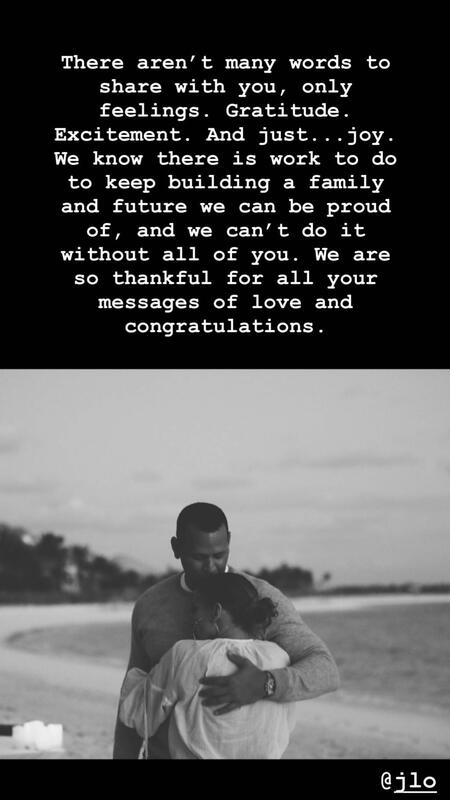 Jennifer Lopez and her number-one fan and fiancé, Alex Rodriguez, have been engaged for all of four days, but that’s already way too long to go without exact proposal details. Luckily, J.Lo just blessed us all by sharing some ultra-intimate photos of the exact moment A-Rod got down on one knee during their beach vacation in the Bahamas. Spoiler alert: The whole thing was beautiful. On Instagram, Lopez posted a couple of of images that capture her emotional reaction as Rodriguez presented her with a gigantic emerald-cut diamond ring. She didn’t say much else—the post’s caption reads, “3.9.19”—but the gorgeous photos pretty much speak for themselves. In the days before Rodriguez popped the question, he and Lopez shared a few photos of themselves lounging on boats and on the sand during their breezy Bahamas getaway. Somewhere in that time, it seems, Rodriguez found the perfect spot on the beach to make Lopez his fiancée, and the moment couldn’t have been any more adorable.